This weekend civil disobedience was in full swing. Although the mainstream media either ignored it, or tried to say that it was a failure or a small protest, it was anything but that. At approximately midday protesters took down the barriers at the Lincoln and WWII memorials and walked them over to the white house. Police in full riot gear stood between the protesters and the white house fence, before the protesters began shouting “shame on you” to the officers. The police then stepped aside allowing the protesters to dump the barriers in front of the white house gates in a triumphant show of civil disobedience against Obama’s campaign of pain during the government shutdown. UPDATE: More DC Truckers along with many other vehicles have continued to pour into the nation’s capital today, as day three of Ride for the Constitution commences. Convoy spokesman, Ernest “General” Lee (photo, left) was busy Saturday coordinating new incoming convoys. Lee has also led the truckers’ effort to join up with the thousands of US Veterans and their families who are also pouring into Washington DC this morning for demonstrations at both the World War II Memorial and the Iwo Jima Memorial. “Right now we have a detachment of bobtail trucks carrying veterans going downtown to the WWII Memorial, and another detachment headed to the US Marine Iwo Jima Memorial. We’re surrounded by supporters of the vets.” said Lee. From 8:00am EST, after a man with wire cutters cut through government-imposed barriers at the war monument, thousands of protesters (photo. left) and US Veteran supporters entered the World War II Memorial, with more pouring in. 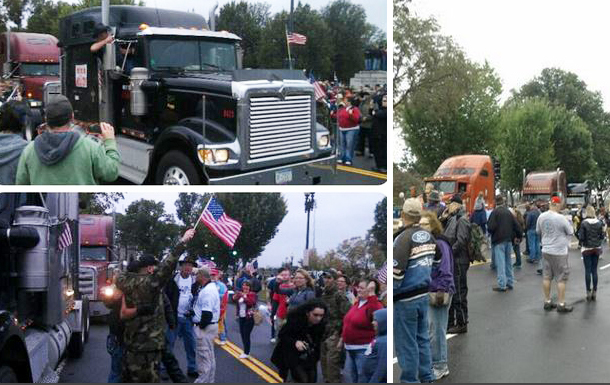 Demonstrators were joined at 9:30am EST by a mile long convoy of #T2SDA + #T4VETS big rig trucks, four-wheel drive and motor vehicles. Despite a blackout in US mainstream media coverage, independent U Stream live video feeds have been up documenting events on the ground there. At 9:00am EST, Metropolitan police vehicles reported to be blocking streets in the immediate area around the WWII Memorial, but no reports of harassment of demonstrators by law enforcement as of that time. At 11:00am EST, GMN live reported that hundreds of protesters headed for Washington DC’s Lincoln Memorial, torn down the government barriers, and began occupying the monument. At 12:00pm EST, demonstrators took down the barriers from the both WWII and Lincoln Memorials, and carried them over the White House and dumped them in front of the White House gates. According to GMN reporter Will Gonzalez, “A group of police with masks and full riot gear moved between us and the White House, but after the crowd shouted ‘shame on you’, the police backed away”. The corporate mainstream media have been working overtime all week – not to cover any facts on the ground – but to brand this weekend’s DC trucker protest as failure. From before the protest began on Friday, headlines appeared to be uncannily coordinated, and clearly designed to deflect support away from Ride for the Constitution’s convoys. As is normally done when they band together to promote US involvement in illegal wars, most notably with the White House’s botched effort to launch a war in Syria, here’s how the corporate media cartel tried to dampen support for truckers’ constitutional effort: USA Today said, “Rain, not trucker protest, slows D.C.-area traffic“. FOX News said, “Dozens, not thousands, show up for DC trucker protest.” Reason.com said, “Trucker D.C. Beltway Shutdown Plan a Hoax“.Politico said, “Trucker Protest a Bust“.In probably the greatest example of mainstream media going out of it’s way to distract from the real DC trucker event, America’s alleged ‘paper of record’ devoted it’s only coverage of events to a planted, fake photo, which went viral online via Twitter. 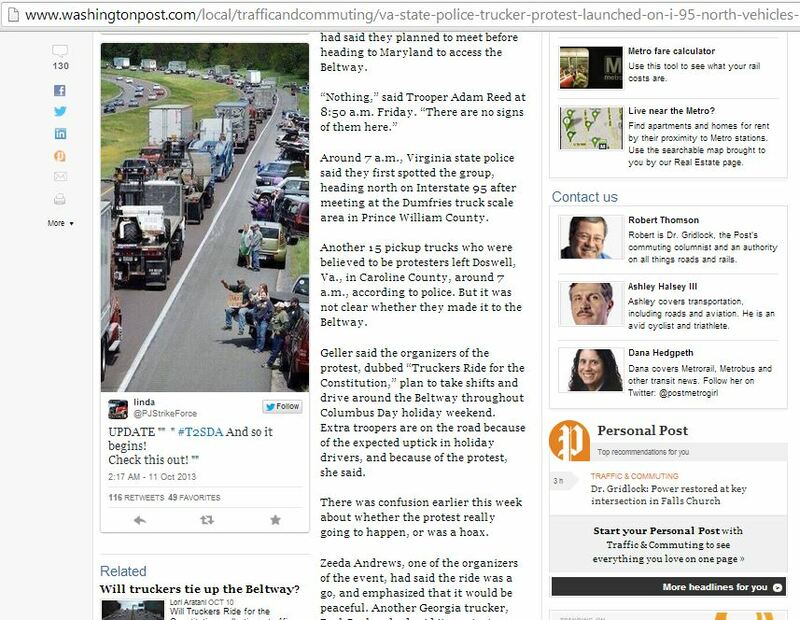 Yesterday afternoon, one of the Post’s dedicated core of jobsworth desktop journalists, Caitlin Dewey, published an article,”Viral photo from Beltway trucker protest actually from an event last May“. Sadly, this was all the Washington Post could manage in coverage – for an event happening in their own back garden. There were other mild efforts over the weekend to cover events. 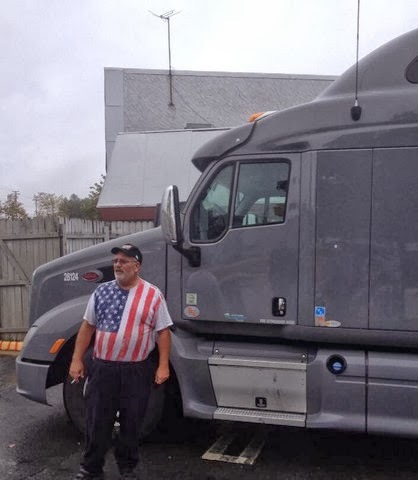 Local NBC Washington affiliate WBIR was one of the only corporate media outlets who managed to make the effort to connect with Ride for the Constitution, sending a journalist to ride with a trucker on Saturday morning. “Truckers protesting the actions of President Obama and Congress continue to slowly circle the Capital Beltway on Friday. 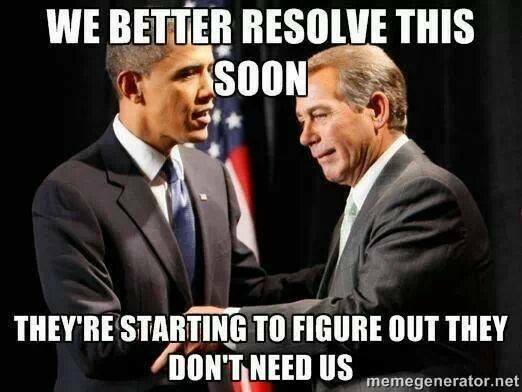 They say they are fed up with what many of them consider an abuse of the Constitution. 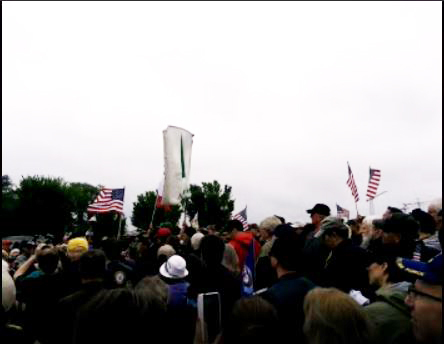 Check out 21st Century Wire’s detailed coverage of the #T2SDA and #T4VETS. See full coverage of Day One here, and Day Two here. As you can see from the alternative media and from the YouTube videos, the protests are a roaring success. We the people will not be silenced!